Throwing on the Liverpool training wear when you are headed out to the gym or for your daily run puts me into the mindset of training like a champion. Or on those NetFlix and Amazon Prime days, they are also pretty comfy while loafing on the couch. Whether it be couch or training, show your Liverpool pride. The Anfied Shop is having a sale on official Liverpool FC training wear. Authentic Liverpool FC training wear is apparel that recognizes your drive to succeed. The elite Training Range line was created by Warrior Sports, especially for Liverpool Football Club fans. It’s cool in so many ways, from unique looks to innovative fabrics. Choose from a variety of high performance red, white and black gear. Embroidered emblems proclaim your team allegiance. Official Liverpool Football Club gear for soccer training pays homage to team history, while also offering sleek, stylish looks. See our complete selection of LFC soccer jackets, sweatpants, polos, t-shirts and more. Enjoy breathable shorts, active fit pants or color contrast hoodies. And the Warrior gear comes in adult and junior sizes. You can suit up for play in apparel that honors both your team and your personal victories. Our LFC soccer shop brings British football to American fields with Liverpool home kits and training clothes. Make a strategic move to browse LFC training wear, such as Liverpool Football Club shorts, jerseys, and more. You’ll enjoy outstanding values! The competition can begin when you’re wearing LFC red cotton tees, red club sweaters or white Liverpool training jerseys. The details make the difference. Choose from comfortable shirts, moisture managing shorts and well-constructed pants that add interest with piping, blocks and panels. Carry on customs in modern designs. We’ve also got Liverpool FC away jerseys and other official clothing. So why not take advantage of exciting LFC training apparel and fast order fulfillment? Even avoid international shipping rates. Shop online now for the best Liverpool FC training wear, including football jerseys, shorts, jackets and more! This entry was posted in About Us, Anfield Shop, Capital One Cup, Champions League, Daily Deal, Exlusive Items, Fans, For the Home, Hats, Inspiration Thursdays, Kit, Liverpool Fan, Liverpool FC, Liverpool KIt, Liverpool Marathon, Matchday, New, New Season, Offseason, Polo Shirt, Super Sale, The Anfield Shop, Uncategorized, Warrior and tagged 2014-2015, Anfield, Anfield Shop, anfield shop blog, bpl, Champions League, Collecting Liverpool FC, Daniel Sturridge, ECL, EPL, Gerrard, Kop, Liverpool, Liverpool FC, raheem sterling, Randy Villarba, Steven Gerrard, training wear, Villarba, warrior, Warrior Football on February 16, 2015 by Randy. After Liverpool handled Borussia Dormund 4-0 in their final preseason match I am excited for the season. We are only days away from the EPL kickoff and the energy behind this season is palpable. Our captain Steven Gerrard will rally Liverpool onto the pitch with the same leadership we have all grown to love. He has lifted many trophies in his career. But we all know the one that escapes his personal C.V. The Premiership Title. Pundits are starting to question how Liverpool can cope with the loss of top scorer to Barcelona. Brendan Rodgers was a busy man in the transfer window as he brought in a lot of new faces to help fortify his campaign this season. Rickie Lambert, Adam Lallana and Dejan Lovren in the Southampton raid. Emre Can from Bayer Leverkusen, Lazar Markovic from Benfica and now Javier Manquillo on loan from Atletico Madrid. Divock Origi will continue to develop another year at Lille. Of course with the incoming, some of our players are playing on other squads to get some playing time while others have have moved on. We all know where Suarez went. With Simon Miglonet in goal, Pepe Reina transfered to Germany with Bayern Munich. Connor Coady is now with Huddersfield Town. Luis Alberto is on loan in Malaga, while Iago Aspas is on loan to Sevilla. Andre Wisdom and Brad Smith are loaned out to West Brom and Swindon Town respectively. Liverpool also released Michael Ngoo, Stephen Sama. Liverpool’s core still remains the same. If you look at the team that challenged Manchester City to the title last year we still have Daniel Agger, Philippe Coutinho, Jose Enrique, Jon Flanagan, Jordan Henderson, Glen Johnson, Lucas Leiva, Martin Skrtel Raheem Sterling, Daniel Sturridge, Kolo Toure. Of course this brings us to Steven Gerrard. If there was a storybook ending to this man’s career, this is the season to do it. This is the season to believe. Liverpool can win the title this year. Liverpool was not able to do it for Jamie Carragher, but we must for Steven Gerrard. God is on our side… literally Robbie Fowler is with us again as a Liverpool FC Ambassador. The season is upon us. We go again. This time, we take the league. I feel it this season. Do you, the Liverpool faithful… believe that this season we will win the league? We are back in the Champions League. Are you ready for that? What do you think our chances are this season? Where do you think we’ll finish. Which signing is the next piece in the foundation of Liverpool? Anfield Shop wants to know what you think? Enage with us. Post your photos on social media, tag @anfieldshop and use the #AnfieldShop to engage with us online. This entry was posted in Anfield Shop, Champions League, Fans, For the Home, Hats, Holiday, Jordan Henderson, Liverpool Fan, Liverpool FC, Liverpool Fixture List, Liverpool KIt, Liverpool Marathon, Luis Suarez, Matchday, New Season, Offseason, Steven Gerard, Steven Gerrard, The Anfield Shop, Uncategorized and tagged 2014-2015, Anfield, Anfield Shop, anfield shop blog, bpl, Brendan, Brendan Rodgers, Champions League, Collecting Liverpool FC, Coutinho, Daniel Sturridge, ECL, EPL, Gerrard, Henderson, Kop, kop choir, Lambert, LFC, LFC California, Liverpool, Liverpool FC, luis suarez, Randy Villarba, rickie lambert, Robbie Fowler, Rodgers, Signed Liverpool FC, Steven Gerrard, Sturridge, Suarez on August 11, 2014 by Randy. 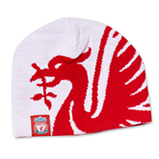 Liverpool FC Beanies, Hats, Christmas & More! Congrats to the Reds on the victory over Chelsea at Stamford Bridge! King Kenny’s record against the Blues is amazing and now the team marches on to the semi-finals of the Carling Cup where they’ll face Manchester City. Let’s hope the winning continues!!! The Anfield Shop continues to offer great items for the holiday season…be sure to check out our special “Christmas” section! We also have a great selection of winter beanies/hats. In fact, we have 17 different styles of hats to choose from. Whether you want an Official Liverpool FC Strata hat or an Official Liverpool FC Reverse Knit hat – we’ve got you covered. The hats come in different colors and sizes – be sure to check them out! 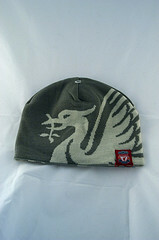 I just ordered the Official Liverpool FC County beanie and love to wear it on these colder mornings and evenings. Don’t forget that hats/beanies make a great stocking stuffers! December is here, and those of us at the Anfield Shop continue to fill orders as quickly as we receive them. Avoid the holiday rush and get your orders in now! Some items are flying off the shelves, and are selling out – don’t be disappointed! Remember, the holiday sale of $20 off every $100 order continues. Just put the promotional code word “holidays” at checkout to receive your discount. This can be a crazy time of year with the hustle and bustle of shopping, holiday parties and more, but the Anfield Shop would like to take this opportunity to thank everyone who has supported us this past year. We continue to grow as a company, and look forward to the new year where we expect to offer even more official Liverpool FC merchandise. This entry was posted in Anfield Shop, Hats, Winter and tagged Winter Clothing on December 1, 2011 by anfield. Hello! My name is Darren and I’m the new blogger for the Anfield Shop. I’m excited to be a part of this exciting company, and look forward to connecting with all of you. A bit about myself. I was a “military brat” and lived all across the United States. I’ve been a fan of football for as long as I can remember…and have always especially loved the Liverpool FC! I live with my bulldog Brutus in Southern California, but have made several trips “across the pond” to visit my favorite place on earth. I also enjoy good music, cigars and I especially love the fall season. Speaking of fall, did you know that the Anfield Shop carries 16 different types of hats? They have ballcaps, beanies, reversible knit caps and reversible beanies. Two of their hats, the Red/White New Era Liverbird ballcap and the Black New Era Liverbird ballcap are EXCLUSIVE to the Anfield Shop! You will only find these caps on their site!!! Be the first to own one of these stylish ballcaps to show your support of the Liverpool FC! Whether you want a traditional cap, a funky beanie or one of the exclusive hats, they’re got the hat for you. Remember, it’s not too early to start your holiday shopping. These hats are not the “one size fits all” that you often find. Rather, they are sized to give you a perfect fit. Take a look ~ you won’t be disappointed! I’ll be writing weekly to discuss all the awesome items that the Anfield Shop carries and look forward to hearing back from you. I’ve ordered several items from the shop, and know that they pride themselves on easy ordering, great prices and quick shipping. Hats off to the Anfield Shop! This entry was posted in Anfield Shop, Hats on October 24, 2011 by anfield. All across the US the reality that is December weather is hitting. Here in Seattle we have seen only rain….and according to the forecast there will be no white Christmas. The good news is that we are fully stocked in the shop on hats and scarves. So stay warm! Stay safe! And show your Liverpool pride! This entry was posted in Hats, Liverpool FC, Scarves, Winter on December 21, 2010 by anfield.